16th August 1848 - the last attempted armed rising on English soil? A short history of the attempted armed uprising of Chartists at Seven Dials in London, which was foiled by police. 1848 was the year of revolutions across Europe, except in Britain. Here the Chartist demonstration for the vote on Monday 10th April 1848 did not lead, as the authorities feared, to an attempt to take power. The gathering on Kennington Common was the biggest demonstration in British history to that date, but rain intervened as well as a very serious mobilisation of police, army and special constables on the side of the authorities. Yet that was not the end of the British 1848, even if Victorian chroniclers spent some effort in trying to suggest that it was. Ireland faced a revolutionary threat and that found its echo on the mainland, particularly after 10th April when Irish nationalists [confederates] joined with the Chartists in many areas. The Chartist protest of 10th April was repeated on 12th June with meetings this time around the UK. The Liberal Home Secretary Russell banned these meetings and again mobilised the police and troops to stop them. The Chartists gathered at Bishop Bonners Fields [now part of Victoria Park in the East End] in large numbers but did not attempt to have a meeting. It was this sequence of events that led first the national Chartist leadership, and then as they were arrested, the London leadership to start planning an insurrection. 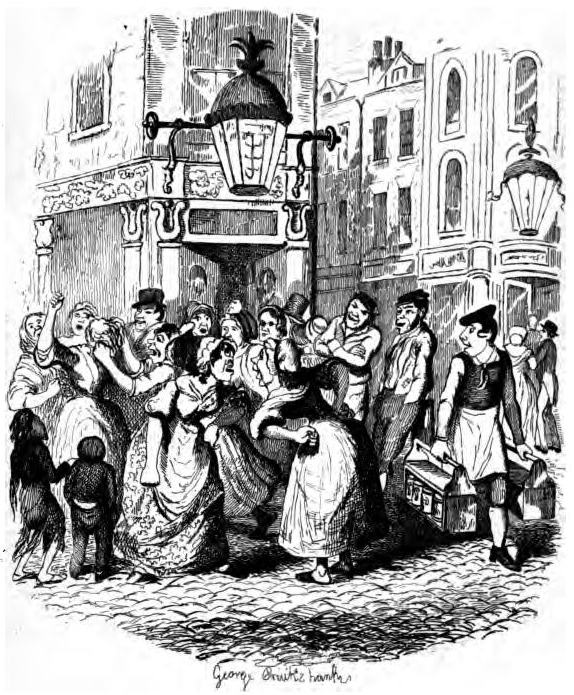 Planning or plotting meetings took place in pubs and coffee houses from June to August 1848. We know this because the meetings were infiltrated by several police spies. The frustrations of the Chartists can be understood. They had seen revolutions sweep away autocratic regimes across Europe and in Britain they had faced bans and arrests if they protested peacefully. In addition as the historian of London Chartism David Goodway points out, London had a conspiratorial political tradition to which some of those involved in 1848 were heir. William Cuffay the black leader of London Chartism became the effective leader of the attempt at revolution in the days up to the 16th August, although whether his aim was to control it or prosecute it has never been clear. Even so there was a clear plan and this was to barricade an area of central London and take effective control of the Capital. There was also less clear plans to put effect to this by firing gas mains thereby causing fires and explosions. The plan for a revolutionary rising was clear enough then. Victorian historians argued that very few supported it at the time and like 10th April 1848 it was a damp squib. As Goodway again points out this was not the case. He estimates that around 5000 Chartists and confederates were mobilised in London on 16th August. That number would certainly have been a good match for the authorities’ forces. In reality neither side seemed prepared to actually do the deed. While the authorities had intelligence of what was planned the police who were mobilised at Seven Dials on 16th August neither went into action or, on the day itself, made arrests. The Chartists who gathered at Seven Dials on the evening of 16th August around 9pm did not attempt to occupy it either. On word that the police knew of the plan they dispersed. Arrests, including that of Cuffay and some others did take place in the days that followed. Aside from being something that has been hidden from history and is worth recalling the events at Seven Dials 165 years ago this week have another resonance. While the area is very different in some ways to how it was then- a very poor area with a pub on each of its seven corners- the actual physical layout of the space remains very much as it was. One of the pubs that was there in August 1848, the Crown, remains in place with essentially the same structure that it had then. This weekend why not re-live a moment of London’s revolutionary past and stop off for a pint at the Crown as the Chartist insurrectionaries of that summer certainly did themselves.